A Complete Guide To Infrared Heating Panels - Are they any good? 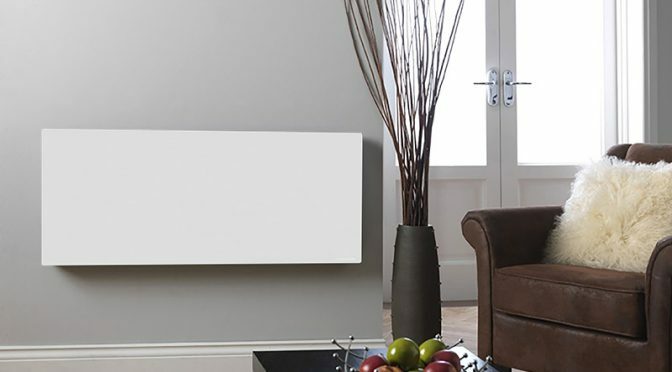 If you’re looking for a heating solution for your home, then you may have heard of infrared heating panels being an option instead of traditional radiators. However, you might not understand how they work, what their advantages are, or the drawbacks associated with using infrared heating panels. In this complete guide, we’ll be answering all of your questions and more so that you can make an educated decision on whether to purchase an infrared heating system or not. Infrared heating panels are a recent addition to the residential heating industry. Infrared heating uses a form of radiation, Far Infrared, to heat objects in the room such as furniture and people. These objects then emit the energy back in the room as radiant heat. Normally, people think of radiation as a harmful thing, but it occurs naturally and the dangers (if any) depend on the type of radiation being emitted. The heat you feel from the Sun is actually Infrared heat and thus Infrared radiation is completely safe and isn’t harmful to our bodies. Harnessing this kind of energy does however give us a convenient way of keeping ourselves warm. Infrared heating produces radiation from an emitter, and this continues travelling through the air until it reaches an object. This can usually be a piece of furniture, a wall or a human being. The waves hit an object and then produce vibrations in the molecules, causing them to heat up. The heat created is then released back into the room as radiant heat. This results in an evenly heated space. How does it compare to traditional convection heating? 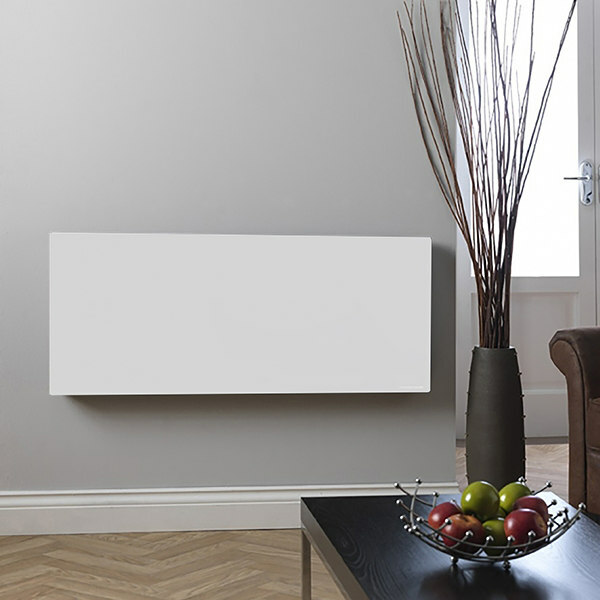 Standard convection heating from a radiator works by warming the air itself. This is why radiators tend to have an uneven distribution of heat—because the air needs to travel around for the whole room to get warm. When a convection radiator heats up, it only affects the air around it, so people tend to locate themselves closer to the radiator to feel its benefits. However, on the other side of the room heating might be limited with potential cold spots. Unlike convection heating, infrared heating emits radiant heat which directly heats up your body or any objects that the waves come in contact with. As discussed this is released back into the space resulting in a more even distribution of heat This clever technology doesn’t rely on the warm air being circulated for you to feel the effects. Furthermore if you opened the door on a cold day you would still feel the direct heat. Just like feeling the warmth of the sun on a winters day. Infrared panels such as the ones from Hudson Reed can be installed on virtually any surface. However, the key to making them distribute heat evenly is positioning. Since infrared waves travel until they hit something, it’s important to place them in an area where the waves will not be blocked initially by objects. You can’t tuck one of these behind your sofa. In fact the ideal place to install them is on the ceiling. This ensures that nothing blocks the rays and it can do its job of heating up the room. However this isn’t always practical plus people are creatures of habit and like to stick with what they know. If the intended room is large, then it might be worth installing them on several different walls to get the best coverage. But remember; if the rays are blocked then it will prevent the panels from working efficiently. If you place them behind a shelf, cupboard or put them too low so that a chair or sofa blocks the rays, you won’t get the desired heating effect. You must also try to avoid placing the panels close together. Panels should ideally be at least 1.5 feet (0.5m) from the floor and about 5 feet (1.5m) from each other. This will help ensure maximum coverage and also prevent any of the infrared rays from being wasted. The panels themselves can get fairly toasty, so make sure you’re not touching them or that there is no danger of them being touched during use. Hudson Reed infrared panels are IP65 rated, meaning they are protected from both dust and water. This means they can even be installed in the bathroom. They are also operated with electricity, meaning you don’t have to worry about gas bills. Infrared heating panels come in various sizes, so make sure you pick a size that is suitable for your room. Checkout our BTU calculator here which also works out the rating your room requires in watts. Better distribution of heat. One of the main benefits of an infrared heating panel is that it works differently to regular heating. Instead of traditional convection heating that causes the air to rise and fall, infrared heating distributes the heating more evenly so that there are fewer cold spots. Faster heating than convection. Infrared heating panels are also much faster than traditional convection heaters. There’s an immediate effect the moment you turn it on. However, the effectiveness does depend on how large your infrared heating panels are and where they are placed. In addition, when your infrared heating is turned off, the effects are immediately noticeable, there is less lingering heat from the panel itself but objects in the room will continue to emit stored heat for a while. Lower your heating bills. Infrared heating is actually a frugal way of heating your home (after the initial investment) Running infrared heating panels are more cost-effective than standard convection heaters – this can be approximately 30%, though the debate goes on. Infrared heating can provide similar levels of heat to an elaborate central heating system, and they run on electricity instead of gas which is generally cheaper. Better quality heating. It has been said that infrared heating can subtly boost your immune system and provide health benefits. It can supposedly help with fat loss, skin disorders and even chronic fatigue. Although many of these effects are achieved with infrared therapy, the idea is that infrared heating uses similar technology, so it could provide similar health benefits. Take this with a pinch of salt. Easy to install. Infrared heating panels are a lot easier to install than standard heating systems. They run on electricity and don’t require a complex plumbing system. Minimalist looks. The panels are also pleasing to the eye especially if you’re trying to create a minimalist home. They’re certainly an upgrade on the white ribbed panels that grace many of our homes. Huge range of finishes. While some brands only offer black or white finishes the reality is that these panels are available in a huge range of finishes. These include panels with mirror options, painted or even disguised as a work of art. Operate in silence. Sssssh, when infrared panels are on there is no noise unlike traditional heating systems where you can here the pops and clicks of metal expanding and contracting. Plus the sound of boilers and pumps and water running around the system. If silence is golden then these are worth a look. No unsightly pipe work. While the radiators and valves of a central heating system can have a great aesthetic no one will argue that pipes look unsightly. Furthermore there’s always a risk of blockage, freezing and breaking, not so with infrared. Difficult to use in cramped rooms. One of the biggest flaws of infrared heating is in the way they work. If you try to use it in a cramped room, you’ll quickly find that it’s not as effective because of all the obstacles that can block the waves. They need open space to work efficiently. Must be installed in every room. Unlike a central heating system, infrared heating panels need to be installed in every room that needs heating, and this can get incredibly expensive if you have a large house to heat. With central heating even if you only have radiators downstairs the warm air that circulates will heat the upstairs to a degree. Expensive initial investment. Although the cost of a single infrared panel isn’t much, you do need to buy one for each room in your home and that cost can add up. They’re also more expensive than the cheapest standard radiators. Still if you want style, efficiency and are perhaps using in just 1 or 2 rooms they make a lot of sense. Are infrared panels a green solution? 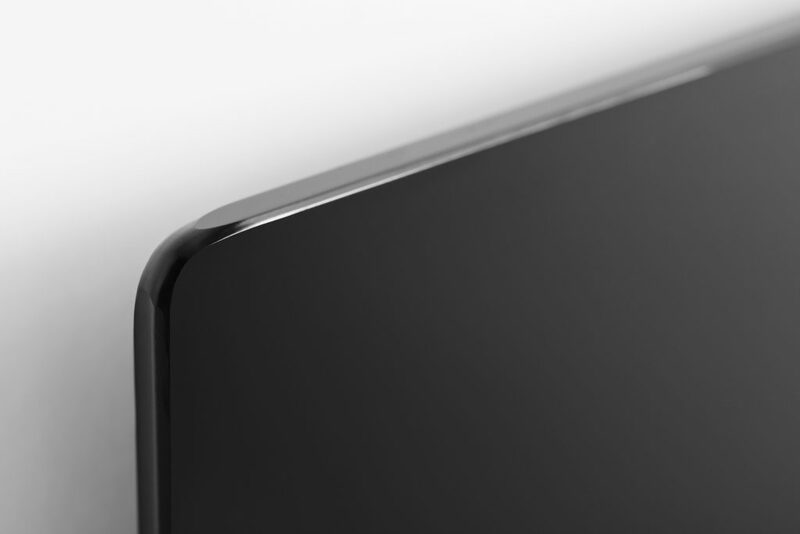 There has been a lot of discussion on how environmentally friendly infrared panels are. One of the biggest draws to infrared heating panels is how environmentally friendly they are compared to traditional gas heaters. It can help to lower your carbon footprint, and you won’t feel bad for chugging gas when you need to keep your home warm. In addition, many infrared heating panels are made from 100% recyclable materials, meaning they can be repurposed or reused in the future. To be fair that can be said of the steel used in most standard radiators. 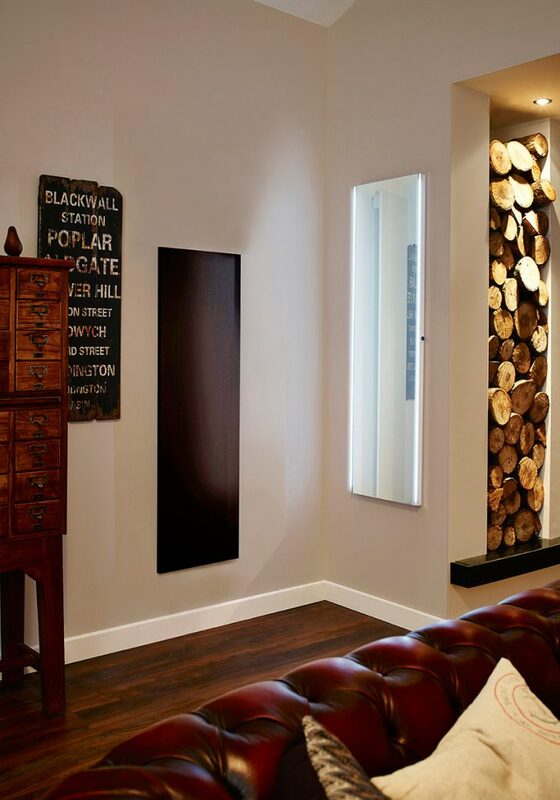 Infrared heating panels are the next big thing in domestic heating. They are cheaper to operate, they offer many advantages over traditional heating and they’re more friendly to the environment. Whether you’re renovating your home, building from scratch or just want to replace your heating for the upcoming winter, consider Hudson Reed’s infrared heating panels.